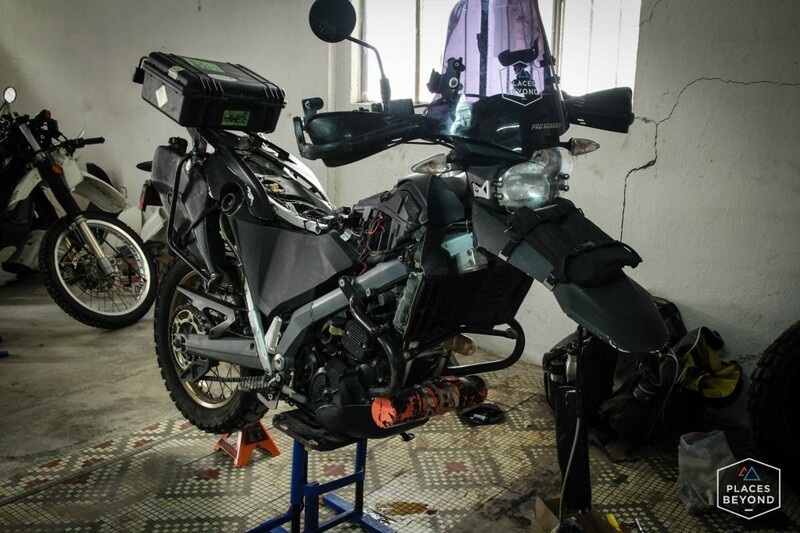 While I was in Quito I needed to get some maintenance and repairs taken care of. My friend Su-Yin spent half the year working at Ecuador Freedom Bike Rentals and recommended I take my bike to Mariscal Motos. Run by experienced mechanic Diego and just across the street from Ecuador Freedom, it’s a convenient location and thankfully he had time to help me out. I had routine maintance to do (oil change, air filter clean) and then some other things. My front wheel bearings seemed to be on the way out so I needed to change those, replace my dead headlight, replace a leaky fork seal, and find a new rear tire. Diego and I rode around on his scooter all over town picking up the parts we needed. Finding 10W 40 oil and a rear tire seemed impossible. After a few hours and almost a dozen shops later, we only found the lightbulb. I did find a rear tire but it was marked at over $300! No thanks. 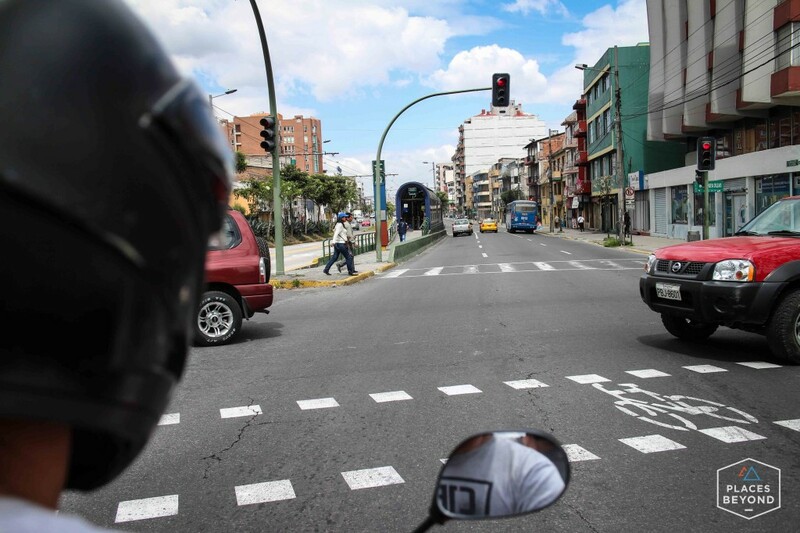 Ecuador is cheap for every day things but anything that is a luxury item, like nice motorcycle tires, is highly taxed. But the main problem was most motorcycles here have smaller wheels. Back at the shop with the new bulb I disassembled the headlight and installed the new part. Turned on the bike and nothing. I was thinking maybe there is a bad wire. We spent a few minutes testing the wires then I had the bright idea that maybe I should check the fuse. Turns out my headlight was fine, it was just a blown fuse. 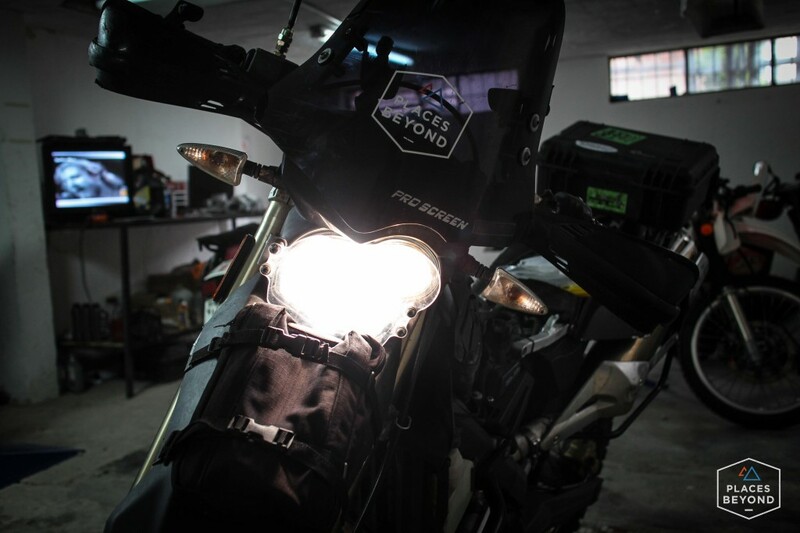 I now have a spare headlight in my bag. Glad it’s working now. The other item on the repair list was to replace the leaky right fork seal. I had replaced both before the start of the trip but the right had started leaking again. I had a spare with me so Diego and I got to work taking off the forks to replace the bad seal. We took both forks off to clean and add fresh fork oil. Everything was cleaned and thoroughly put back together and new oil was added. The job took less than 2 hours. Diego ended up having enough 10W 40 oil that I needed at his shop so we took care of the oil change and I cleaned the air filter. Everything was going well. I had never replaced wheel bearings so Diego showed me how. He put everything back together and I was just about ready. 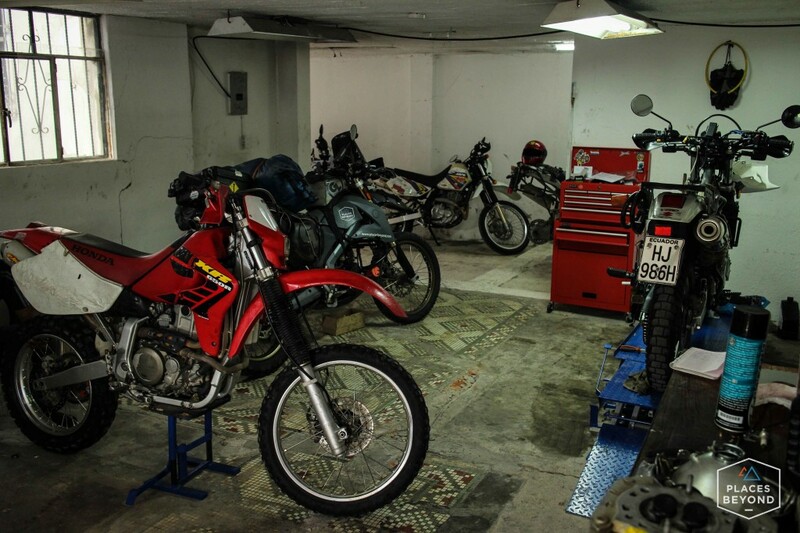 Court at Ecuador Freedom said I should call a shop in Cuenca where they usually have tires and good prices. I called Tedasa and they in fact had the rear tire I wanted and for a great price.  So I was finished with the repairs in Quito. I rolled the bike out of the shop and heard a sound a didn’t want to hear. The front rotor was scraping on the caliper (not the pad but the caliper). Something was off. We took the wheel off and after a few minutes of checking out what could be wrong we realized the wheel spacer was put back on wrong. The way it was put on damaged the bearing seal so I needed a new one before I could leave. It was almost 5pm and I was planning on leaving in the morning. I didn’t think shops would still be open but Diego was confident he’d be able to find the seal I needed. Within 20 minutes he was back with the seal. We got the wheel back on and everything was great. Problem solved. 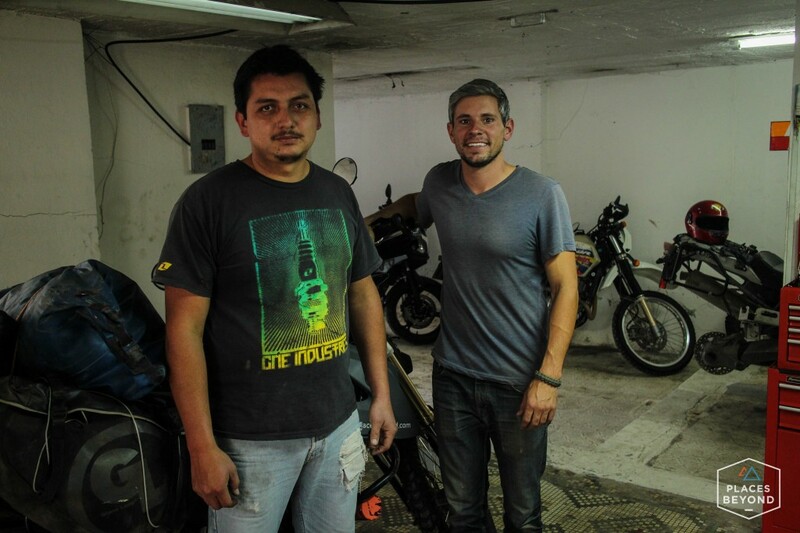 At Mariscal Motos in Quito with owner and mechanic Diego. He was a happy guy, but it doesn’t come off in photos. 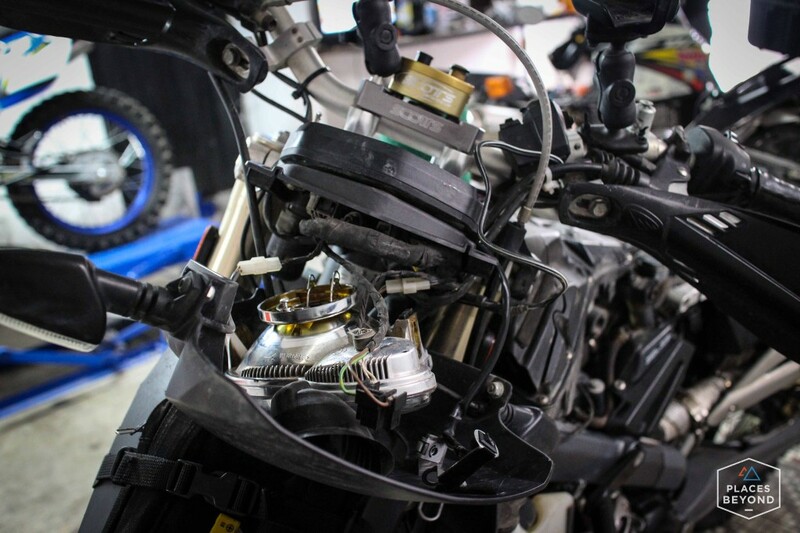 I just went to Diego for some much needed repairs on my motorcycle. I was very pleased until I arrived in Cuenca today and realized that someone in Diego’s shop stole $400 of emergency funds that were stupidly hidden on my bike. I called Diego and Freedom Bike and no one really cared to help me find my money. Long story short, don’t trust Diego’s shop.